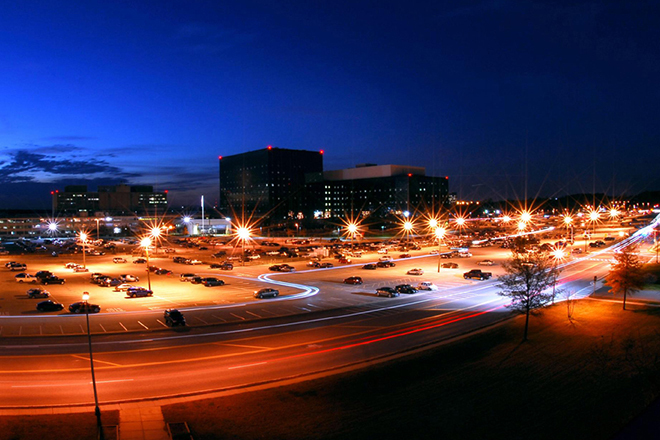 NSA headquarters in Fort Meade, Maryland. If you use Tor or any of a number of other privacy services online or even visit their web sites to read about the services, there’s a good chance your IP address has been collected and stored by the NSA, according to top-secret source code for a program the NSA uses to conduct internet surveillance. There’s also a good chance you’ve been tagged for simply reading news articles about these services published by Wired and other sites. This is according to code, obtained and analyzed by journalists and others in Germany, which for the first time reveals the extent of some of the wide-spread tracking the NSA conducts on people using or interested in using privatizing tools and services—a list that includes journalists and their sources, human rights activists, political dissidents living under oppressive countries and many others who have various reasons for needing to shield their identity and their online activity. The source code, for the NSA system known as XKeyscore, is used in the collection and analysis of internet traffic, and reveals that simply searching the web for privacy tools online is enough to get the NSA to label you an “extremist” and target your IP address for inclusion in its database. Legal experts say the widespread targeting of people engaged in constitutionally protected activity like visiting web sites and reading articles, raises questions about the legal authority the NSA is using to track users in this way. The findings also contradict NSA longstanding claims that its surveillance targets only those suspected of engaging in activity that threatens national security. He notes that the NSA actions are at clear odds with statements from former U.S. Secretary of State Hilary Clinton and others in the government about the importance of privacy services and tools to protect First Amendment freedoms. The findings were uncovered and published by Norddeutscher Rundfunk and Westdeutscher Rundfunk—two public radio and TV broadcasting organizations in Germany. An English-language analysis of the findings, along with parts of the source code for the XKeyscore program—was also published by Jacob Appelbaum, a well-known American developer employed by the Tor Project, and two others in Germany who play significant roles in Tor. Embedded in the code they found rules describing what XKeyscore is focused on monitoring. The rules indicate that the NSA tracks any IP address that connects to the Tor web site or any IP address that contacts a server that is used for an anonymous email service called MixMinion that is maintained by a server at MIT. XKeyscore targets any traffic to or from an IP address for the server. The NSA is also tracking anyone who visits the popular online Linux publication, Linux Journal, which the NSA refers to as an “extremist forum” in the source code. Tor was originally developed and funded by the U.S. Naval Research Laboratory in the late ’90s to help government employees shield their identity online, but it was later passed to the public sector for use. Tor has since been completely rebuilt by developers, and is now overseen by the Tor Project, a non-profit in Massachusetts, though it is still primarily funded by government agencies. Tor allows users to surf the internet as well as conduct chat and send instant messages anonymously. It works by encrypting the traffic and relaying it through a number of random servers, or nodes, hosted by volunteers around the world to make it difficult for anyone to trace the data back to its source. Each node in the network can only see the previous node that sent it the traffic and the next node to which it’s sending the traffic. In documents released by Edward Snowden, NSA workers discussed their frustration in spying on people who use Tor. “We will never be able to de-anonymize all Tor users all the time,” one internal NSA document noted. But the XKeyscore source code reveals some of the ways the NSA attempts to overcome this obstacle. Tor isn’t the only target of XKeyscore, however. The system is also targeting users of other privacy services: Tails, HotSpotShield, FreeNet, Centurian, FreeProxies.org, and MegaProxy. The XKeyscore rules use features the NSA calls “appids,” “fingerprints,” and “microplugins,” to identify and tag activity online. Appids, the German publication notes, are unique identifiers that help the system sort and categorize data and user activity, such as an online search. The microplugins are possibly used to extract and store specific types of data. The rules indicate that the NSA is specifically targeting the IP address of nine servers operated by key Tor volunteers in Germany, Sweden, Austria, the Netherlands and even the U.S. These servers are used by the Tor network as directory authorities. They generate, on an hourly basis, a directory of all the Tor nodes or relays on the Tor network, which change constantly as new servers are added by volunteers or taken out of the network. The Tor software consults these lists to direct traffic to the nodes. The XKeyscore system uses a fingerprint called “anonymizer/tor/node/authority” that targets any IP address that connects to the nine servers. One of the servers is maintained by Sebastian Hahn, a 28-year-old a Tor volunteer and computer science student at the University of Erlangen. A German attorney told the media outlets that the targeting of Tor volunteers in Germany may violate restrictions against the US conducting secret intelligence activity against German citizens in Germany. Another server is operated at MIT by Tor Project leader Roger Dingledine, an MIT alumnus. But in addition to serving as one of the Tor directory authorities, the server is also used to operate the MixMinion mail service and host a number of other web sites, including ones for online gaming libraries, which means the NSA may be collecting IP addresses for those users as well. The XKeyscore rules indicate that in addition to tracking activity to these Tor directory servers, the NSA also records and stores any IP address that connects to the thousands of Tor relays on the network. These addresses are all publicly known, as they are listed in the directory distributed by the nine servers. But in addition to these, there are non-public “bridges” that volunteers in the Tor network maintain. These can be used by human rights activists and others in repressive regimes like Iran and China that censor internet traffic and block their citizens from using known Tor relays. To obtain the non-public address of one of these bridges users send an email to the Tor Project or request an address via the Tor web site. To unmask these private bridges, however, XKeyscore records any connections to the bridges.torproject.org server and uses a microplugin to then read the contents of the email that the Tor Project sends to requesters in order to obtain the address of the bridge. The NSA also tracks the IP address of anyone who simply visits the Tor web site, though it specifically avoids fingerprinting users believed to be located in Five Eyes countries—the spying partnership that includes Australia, Canada, New Zealand, the UK and the US—from others. This appears to be the only distinction made for Five Eyes users, however. The rules for fingerprinting visitors to the Tails web site or the web site for the Linux Journal do not include such exceptions in the version of source code the media outlets examined. The EFF’s Opsahl says the exception made for these users with IP addresses in these countries is odd since the constitution protects U.S. citizens from NSA surveillance no matter which country they’re in, and people using or interested in using privacy services are likely to shield their real IP address when they visit these sites, making it difficult for the NSA to know exactly where they’re really located. XKeyscore additionally tracks the addresses for web sites that use Tor Hidden Services to hide their location on the internet. Sites that use Tor Hidden Services—part of the so-called Dark Web—have a special Tor URL that can only be accessed by those using the Tor browser and who know the specific address. Tor Hidden Services is used by activists to host forums discussing their activity, though it is also used by sites selling illegal drugs and other illicit goods. XKeyscore catalogs every one of these URLs it can discover by culling through what it calls “raw traffic” and storing the address in a database.